I was passing by the shop window when I saw a smaller version of this clock and gasped. It told the time. But using letters. 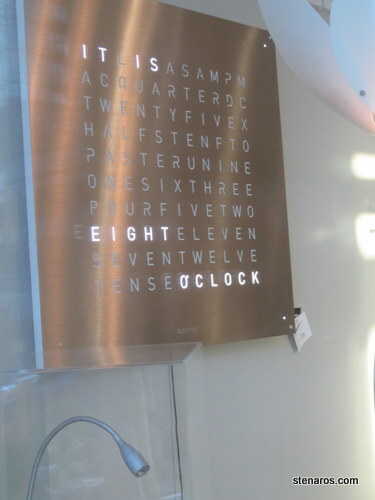 And the words changed locations on the clock every five minutes. And then, the shop put up a going out of business sign. Was this my chance to own such an amazing specimen? After all, I had a tax return coming. I waited until the signs said 60–75% before I went in to inquire. I wasn’t sure if I wanted any clocks to be available. Was I really the type of person to have a small clock that cost that much, even on sale? 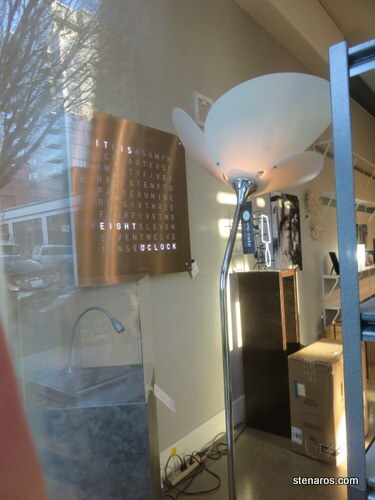 Thankfully, all the awesome clocks were spoken for at the 40% off mark. So I left with no clock and a healthier bank account and I know exactly what I will do first if I ever come into a substantial amount of money.